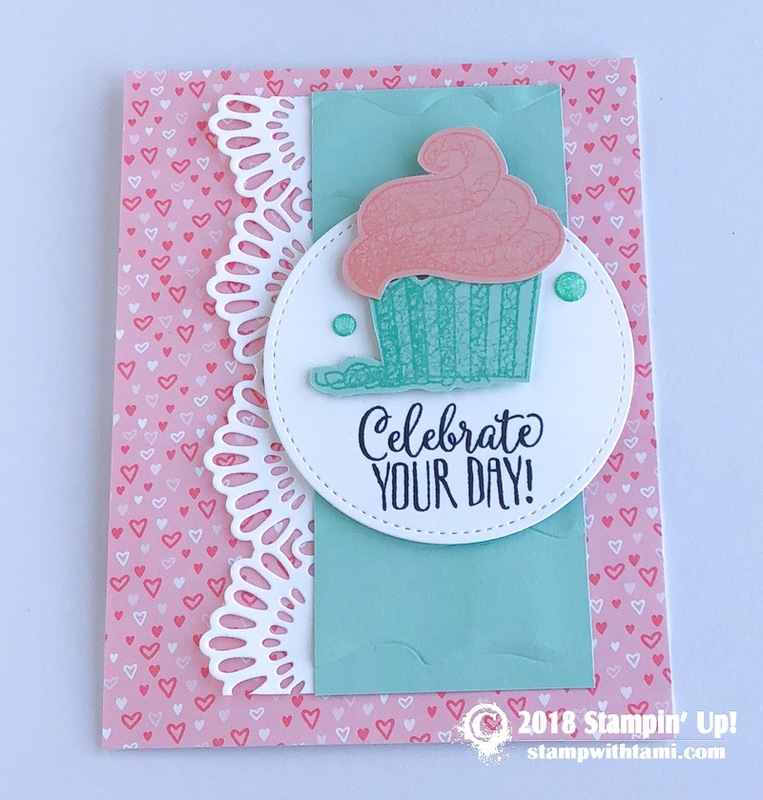 Yummy “Celebrate your day” birthday card from the new Stampin’ Up Hello Cupcake stamp set. You can get this set free with $50 orders during Stampin’ Up’s Sale-a-bration, beginning January 3. The circle is cut from the Stitched Shapes dies. The lace edging comes from the Delicate Lace Edgelits. The designer paper is from the new All of My Love DSP collection (Occasions catalog).